Their parents have been charged with child abuse after police found "unlivable" conditions, including feces all over the floor. 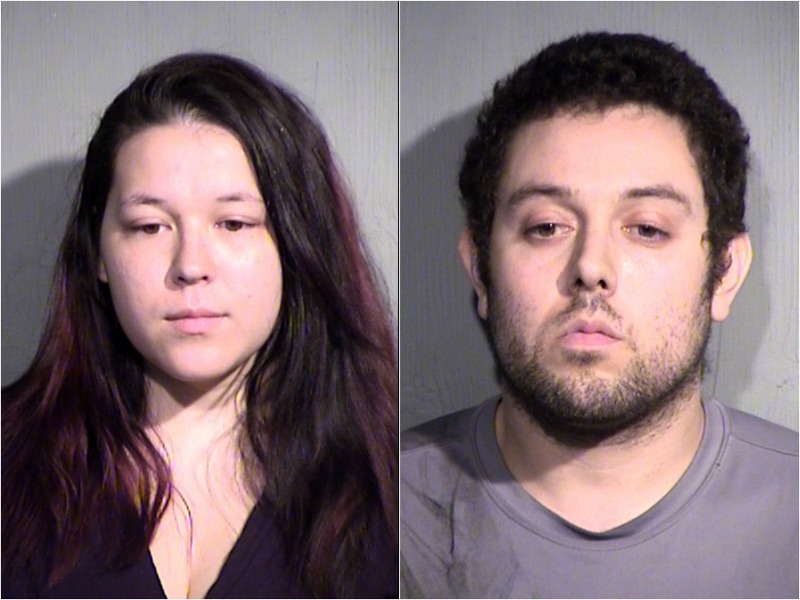 Three children were found to be living in unsafe and disgusting conditions at a home in Buckeye, and two adults have been arrested on child abuse charges. Buckeye police report that on Friday afternoon officers were called to a home near Watson and Yuma Roads after a neighbor found two children outside her home. The neighbor told police that a two-year-old girl was covered in feces and only wearing a diaper. The five-year-old boy was naked. Neither child knew where their parents were. The neighbor reportedly got no answer when they knocked on the door, so they called the police. When police arrived, they found 23-year-old Alsatia Inks in her bedroom on the computer wearing headphones. She was unaware that the children had gotten out of the house. Police found a third child in the home, who was also five years old. "I don’t think anybody knew. I didn’t even know they had kids in there," said Mayra Ramirez, who lives across the street. Investigators said the house was "unlivable and unsanitary." They said there was old food on the counters, burn marks on the carpet, knives on the ground, spoiled food, and human and animal feces on the walls and floor. "That makes me mad. The fact that they are babies and that is their environment in their own home," said Jameela Smith, who lives two houses down. Smith said she saw the family occasionally, mostly on the way to the bus stop. "I wouldn’t have assumed anything, from the way she dresses her daughter in the morning for school and has her backpack on, and walks her to the bus stop like all the other parents," she said. "She holds her hand she tells her went to cross the street, stuff like that." According to the Buckeye police report, the father "admitted to a prior police and DCS report last year where the same conditions to the home were noted, but said they clean when there are messes." Police pointed out that there was clearly "days old food, trash and feces throughout the home." Buckeye PD told ABC15 that the prior call to the family's home happened in April 2017 and was at a different address. It is unclear if the Department of Child Safety ever followed-up after the visit to check on the kids or conditions of the home. ABC15 has reached out to multiple people within Arizona DCS and we will update this story if we hear back. Inks and her boyfriend, Zachary Michael Pacheco, 27, were arrested on charges of child abuse and child endangerment.